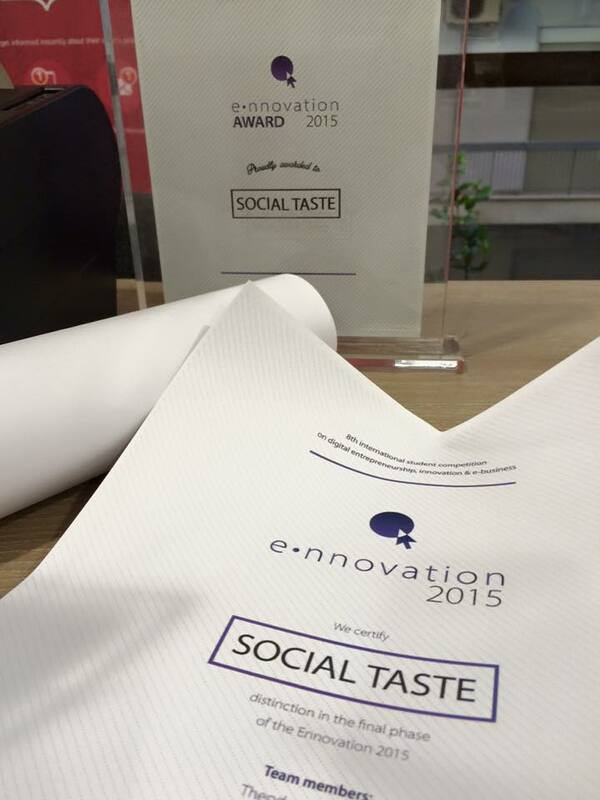 Social Taste | New Era: Online Food ordering from restaurants with their branded apps. New Era: Online Food ordering from restaurants with their branded apps. Inevitably, consumers ordering their meal or breakfast online, increase with fast rate. Technology has adequately advanced for a practice like this to be reliable, trustworthy and help businesses to reduce the management cost of an order (have you really ever tried to calculate the time you need to satisfy an order over the phone?) and limit the mistakes in copying or executing it. In the last few years, since the need for online ordering was gradually increasing, a lot of marketplaces popped up on the Internet. These are websites that offer the ability to order from several restaurants which participate in their program. In USA the best-known marketplaces are grubhub and seamless, while in the UK the most famous is Just Eat. In Germany, a big cut of the market is shared between delivero and foodora which offer many other services to their clients, like delivery service. All of the above solutions, share a common business model: They offer the restaurant menu online together with the online ordering functionality, use the big amount of visitors they have as a result of aggressive advertising as an attraction for new clients and ask for a good cut of the restaurant income as commission. This can easily be as big as 20% making them actually a partner. Of course, the fact that the advertising space they can offer to promote selected businesses is extremely limited (much like the limitations of the first pages in search engines) doom the smaller businesses or the ones that cannot afford to pay extra for promotion to the lowest rankings where they get limited visibility, and, of course orders. “marketplaces attack their value chain without respect and the market for food delivery services can become like the hospitality market where hotels are dependant in specific portals and are unhappy with the commissions they have to pay for online booking." With all of the above, restaurants now start to search for alternatives in order to “escape” from the “monopoly” of the marketplaces and get back their power. But how easy is this? Anger, and tension from high commissions, drives restauranteurs to choose partnerships without putting much thought. Many times, unprofessional and figurative businesses take advantage of that need, offering solutions that cannot work: They usually offer a build-and-forget eshop which they advertise that can do everything with very little money and they promise that there will be no future expenses or maintenance fees. The result, of course is very different: They build sites that are good only for regular, physical products, they ask from the clients to register and order through difficult and complex processes, they lack real-time notifications and error-limiting methods and if they provide a mobile “app” this is usually a website view that is mobile-friendly instead of a real, native, branded application. Many times, restaurants are persuaded to end their partnerships with marketplaces immediately without much thought, thinking that their customers will jump from the marketplace to their own apps magically. The result, most of the times, disappointing. On top of this, the applications and solutions they now use begin to have compatibility or stability issues and other problems or bugs while the technology advances making them useless and a bad marketing for the business itself. The solution a restaurant will choose, has to be able to follow the business and adapt to new technologies that the users demand quickly. Unfortunately, in that point is easy to understand that a real working solution without the relevant cost cannot exist. Applications and websites targe a very large audience, and are not designed to be used in a limited and controlled usage environment while infrastructure and operating systems are advancing with extreme speed. Apple and Google, release a new Operating System for their mobile devices each year together with new devices which always offer new, advanced technologies. Also, new channels come into play, like for example, messaging bots. The solution that the restaurant will choose has to follow the business and adapt quickly, offering functionality that the users will search for. Businesses that decide to move in the right direction and get a versatile online ordering system, build their own loyal clientele and offer services with great impact, retention and loyalty. After all, a research conducted by students of Nottingham Trent University in UK together with Democritus University of Thrace in Greece for Social Taste, showed that most of the marketplace users are visiting marketplaces (or use their apps) to order from their favourite restaurants and not to search for new ones. This information, shows that the users are ready to jump to a new system for ordering if they find it attractive and offers something more to them (for example some exclusive offers). Marketplaces are mature by now and their technologies are very advanced, so end customers need something at least of the same quality to make the shift. Utilising online ordering and online delivery technologies correctly with the right tools which are powerful, stable and trustworthy can bring the right result to the restaurants. Nowadays, they can use the marketplaces only for their true power: marketing. 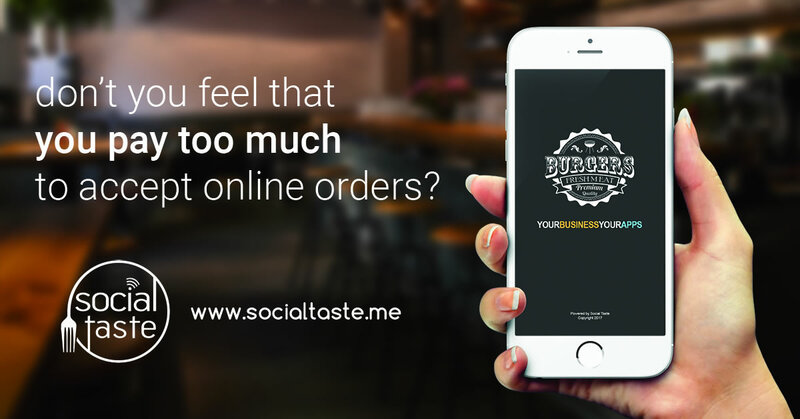 Social Taste is a system that is fair in terms of cost, it provides premium online ordering services and has a fanatic team of support for the clients that trust their online ordering business to it.